first book in the series to be mailed and the last one is about kindergarten. How did the Imagination Library begin? County. She sought to foster a love of reading among pre-schoolers. 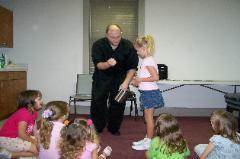 How does the Imagination Library operate in Sequatchie County? 400 children are presently registered to receive books. 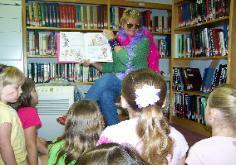 Why bring the Imagination Library to Sequatchie County? 45% of Tennessee fourth graders read below grade level. Three Star Community program for implementing the Imagination Library. deductible. Please pledge to sponsor at least one child’s books each year.